Citing this page: R. Antonacci, et al. Mol. Immunol. 45(2):493-509 (2008) PMID: 17673294. IMGT/LIGM-DB: IMGT000042 (505971 bp) and AM420900 (41045 bp), sheep (Ovis aries) TRB locus on the chromosome 4. 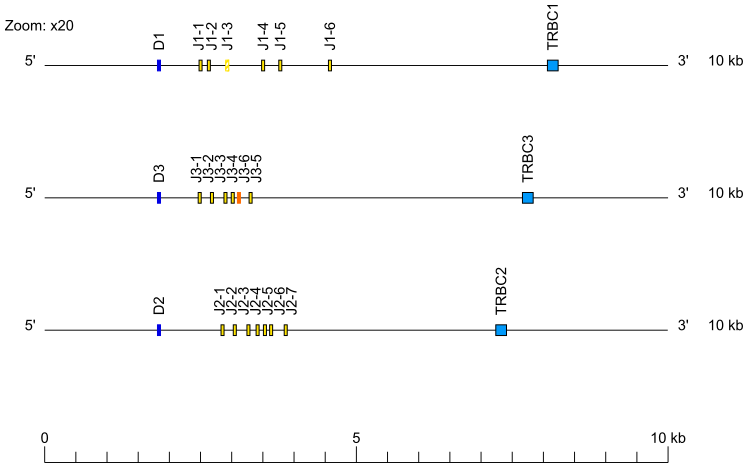 The orientation of the sheep (Ovis aries) TRB locus on the chromosome 4 is forward (FWD). 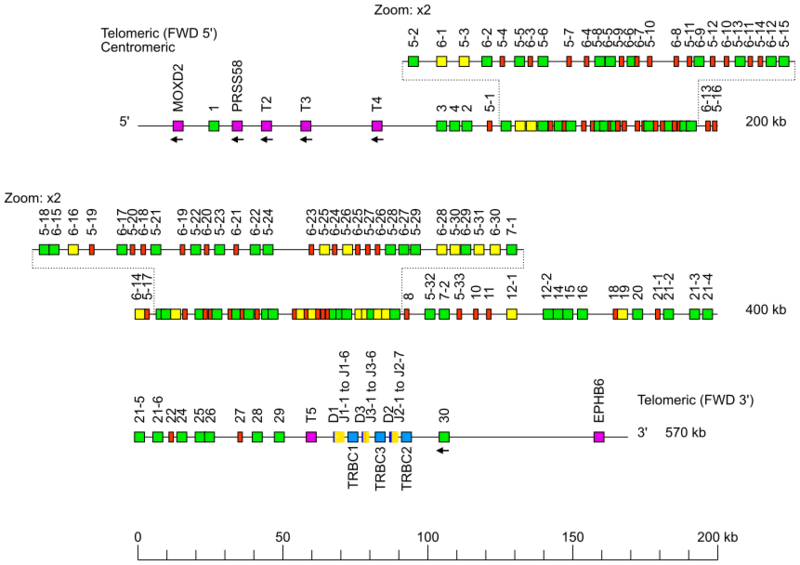 Single arrows show genes whose polarity is opposite to that of the D-J-C-CLUSTER comprising TRBD1-TRBJ (J1-1 to J1-6)-TRBC1-TRBD3-TRBJ (J3-1 to J3-6)-TRBC3-TRBD2-TRBJ (J2-1 to J2-7)-TRBC2.